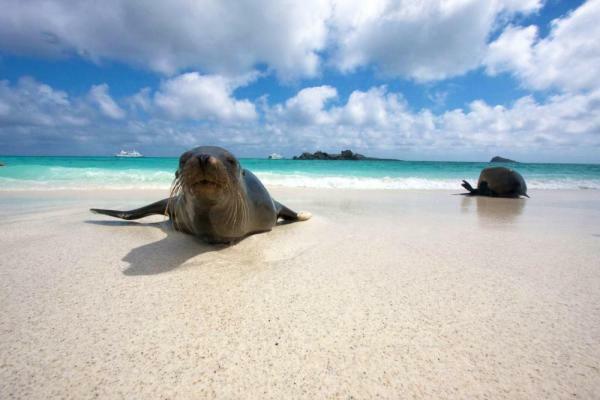 This 8-day Western Islands Galapagos cruise explores the wildlife-rich shores of Santa Fe, Isabela, Rabida and more! Join this unique small ship adventure! 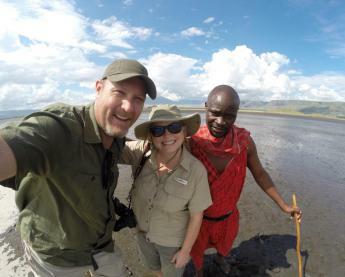 Learn about the flora and fauna from your guides. 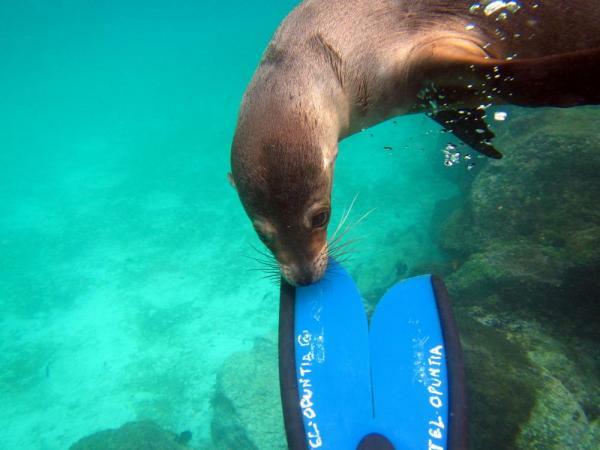 Watch sea lions play on the shore, snorkel, and visit the Wall of Tears on your tour aboard the Aida Maria. Arrive to San Cristobal and go from the airport straight to the boat to settle into your accommodations. Then you continue to the visit to Cerro Tijeretas located at 2 km from Puerto Ayora, is the only one site that you can see two different kinds of Fragatas living on the same colony. Return to the boat , dinner. Continue to Santa Fe Island and enjoy a noisy welcome from the sea lion colony. Follow your guide along the path to reach Santa Fe's main attraction, a towering forest of giant cacti. Look for marine and land iguanas, lava lizards, and land tortoises throughout the forest. After the walk, snorkel with sea lions, lionfish, and sea turtles. After lunch head to South Plaza Island to see a large colony of sea lions lounging in the sun. Enjoy cacti, lava gulls, yellow warblers, and red-billed tropic birds. 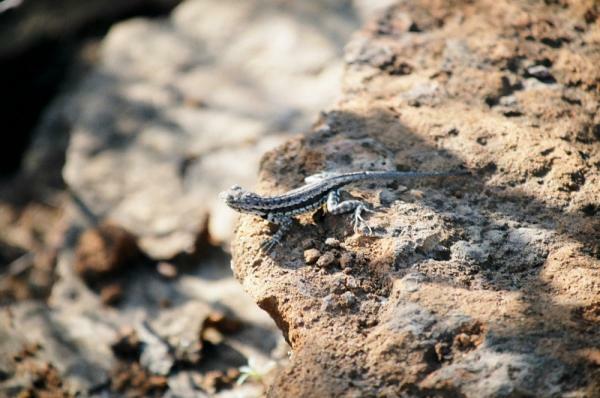 Travel to Tortuga Bay and view plants, flowers, gecko lizards, and birds. Swim and surf the beaches separated by a red mangrove. Explore the exotic and endemic plants around the beach. Hike to the Sierra Negra Volcano, one of the oldest volcanos in the Galapagos. Next visit the humedales, which is a mangrove area with small brackish water lagoons that create the perfect environment for a small type of shrimp that serves as the food for the island’s flamingos. Following this visit you are transported to “The Wall of Tears.” When the Ecuadorian government first took possession of the islands their main purpose was to harbor Ecuadorian prisoners; since there was not much for them to do they were forced to carry rocks to a far location and build a wall. Arrive in Punta Moreno on the west coast of Isabela. There are three kinds of cacti found here and the vegetation in this area is sparse and concentrated mainly in the mangrove area and around the lakes. 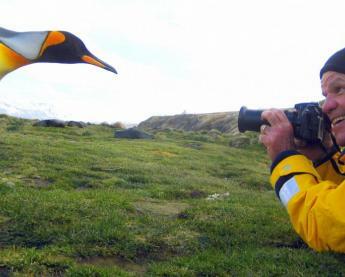 The main attractions at Punta Moreno are the coastal lagoons amid black lava flows where there are several species of birds. Here you have a panoramic view of three of the most active volcanoes in the Galapagos. Continue to Elizabeth Bay and observe marine life. 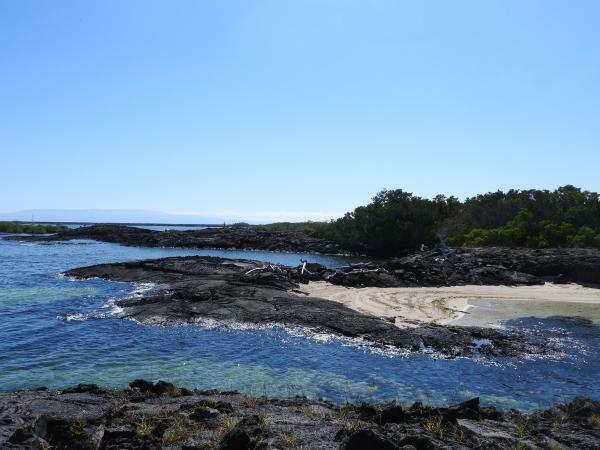 You can usually spot the the Galapagos penguins on the rocky islet at the entrance of the bay. Travel through a small passage lined with mangroves and emerge into an enclosed cove. 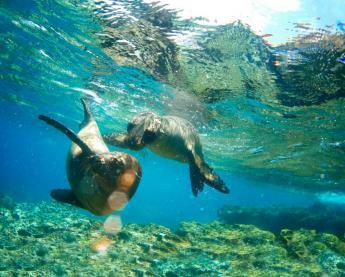 Here look for marine turtles, rays, flightless cormorants, sea lions, and the Galapagos hawk. The visitor’s site of Tagus Cove is located west of Darwin Volcano on Isabela Island. The entire distance of the trail is about 1800 meters. This was a favorite spot for pirates and whalers, and the tradition of inscribing the names of boats is a tradition still observed today. At the beginning of the walk, going up and passing the staircase, is a small cave where you can find inscriptions dating to the 1800s. The trail offers a chance to view various land birds and leads to the lava fields of the Darwin Volcano. 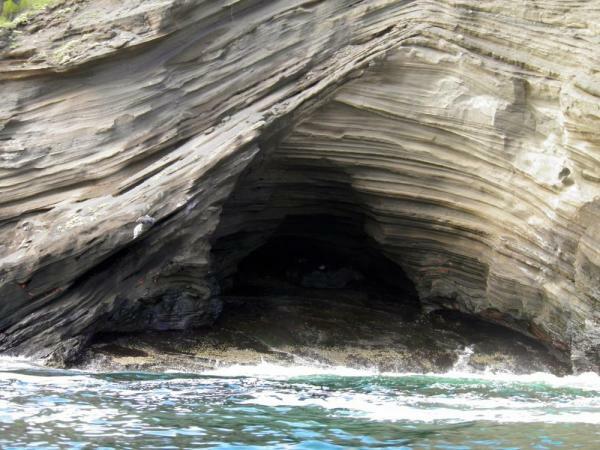 After lunch arrive in Punta Espinoza, a narrow ledge of lava and sand that extends from the base of the volcano to the sea. It is a place famous for its large colonies of marine iguanas and species like the flightless cormorant, Galapagos penguin, Galapagos hawk, snakes and others. Travel to the black sand beaches of James Bay. Explore the surrounding area and then head to Rabida. Rabida Island has beautiful red sand beaches, a coastal lagoon, and a loop trail. The color of the rocks and sand on the beach is due to the very porous volcanic material, which with the help of environmental factors, has acted as an oxidizing agent. After breakfast arrive at North Seymour Island. Here see frigatebirds, blue-footed boobies, and sea lions. Transfer to Baltra Island to catch your plane back to the mainland.